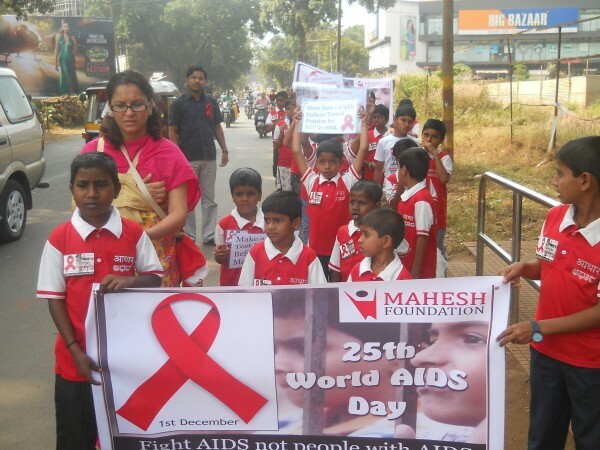 Mahesh foundation observed WORLD AIDS DAY (Dec 1) in very different way. On the occasion of a HIV/AIDS awareness rally was organized from Basveshwar circle till BIGBAZAR Belgaum. Many youngsters and the children of Mahesh foundation participated and created awareness about HIV/AIDS. A Signature Campaign was started at Big Bazaar by Mrs.Deepa Cholan IAS CEO Zilla Panchayat Belgaum. She emphasized the need to create more awareness about HIV and also about accepting the people with it as even they have a right to live in the society.